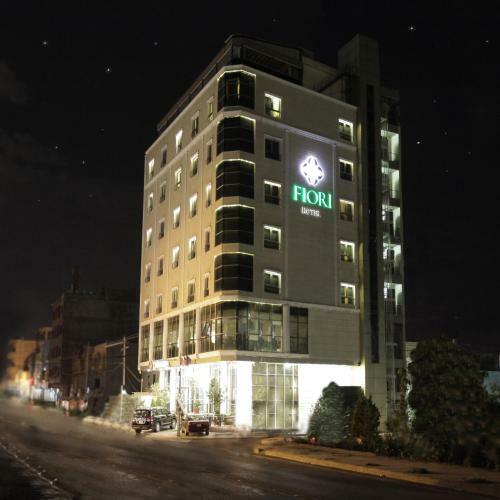 Fiori Hotel, Erbil. Information, Photos and Reviews. Located in Ankawa business district, Fiori Hotel offers elegantly decorated rooms. It features free Wi-Fi in all areas, MoonRoof roof-top restaurant and Ourjouwan restaurant that serves breakfast buffet. Family Mall is a 10-minute drive away. Nobody has reviewed Fiori Hotel yet, Be the first. You are submitting a booking enquiry. Fiori Hotel will then contact you by email with details of availability and prices.